I had the pleasure this past Sunday of attending the close to sold-out Carmina Burana show. It felt strange for me to sit and see my fellow choristers, silently sitting and with a look of calm professionalism, but not be with them in the choir loft as they readied themselves to perform again after Saturday's sold-out show. 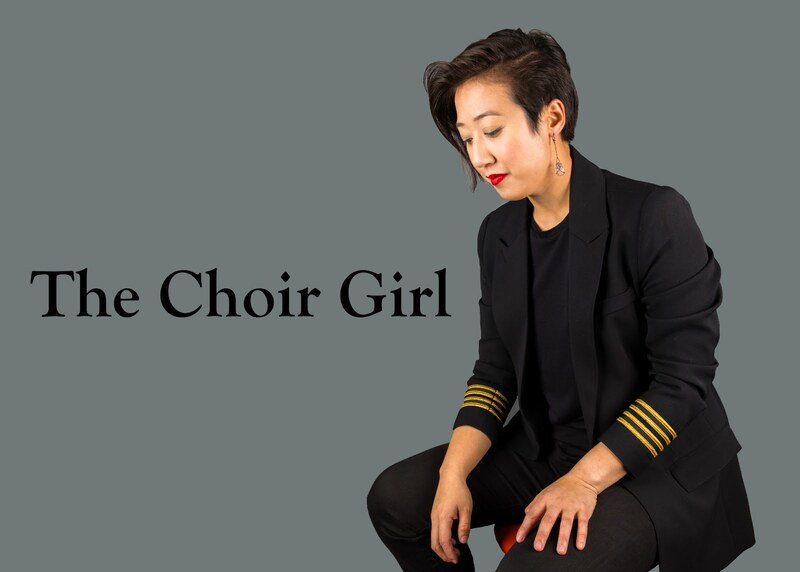 My friend, Julia, accompanied me as it was her first symphonic concert with mass choir and soloists and I was eager to note her thoughts along the way. One thing I was interested to hear was how four stunningly different choirs were going to sound together. However, I forgot about the sheer strength that emerges when you have that many voices and it's not so much a question of how these four groups are going to work together, but what they can achieve when all their vocal energy is focused on the same goal. I often find singing with and listening to mass choirs extremely painful because it seems like there are only two dynamic levels: loud and louder. Often, the mass choir is an arena where you can sing as loud as you want and it doesn't help that everybody is trying to one-up each other in sound level; thus, when you have everybody singing at full volume, sound levels can approach the pain threshold. While there were definitely moments of sound blasting coming from the Winspear stage, it was contextually acceptable because of Orff's passionate chorus. There is a time and a place for loud mass choir singing and Carmina Burana is one of them. Futhermore, not all passages were loud as there were many lyrically sensitive passages and fervent moments within the "O Fortuna" chorus where the choirs conveyed the text with explosive diction. Normally, I find the ESO a bit overpowering when they are paired with guests artists, however, I felt the ESO was supportive with symphonic lines that provided a solid structural framework for further sound construction. As well, the two pianos on stage had a brilliantly radiant quality that energized the sound of the symphony. Julia noted that while she could appreciate the talents of the symphony, she wished that the sound was better balanced so that she could have experienced more of the vocal effects. She also mentioned that if there was a better balance, maybe some of the choral ensemble problems could have been corrected. I agree with her since everything is so loud within a mass choir that all you can do is watch the conductor and hope you're in time with the other half of the choir. The soloists were definitely an interesting entity within this performance as they were much more animated that I was expecting! The baritone, Hugh Russell, had an interesting swagger coming to and from his seat as the chorus and symphony musically mocked him at a key moment in the piece while the tenor, Bonventura Bottone, definitely displayed an array of dramatic gestures throughout the show. It provided good comic relief but Julia stated that it distracted her slightly from the actual performance. I wished that soprano, Ilana Davidson, emanated more musical energy in her voice. While her voice was very pretty and lyrical, it just did not wow me in comparison to all the other inspiring sounds I was hearing. Carmina Burana was the star piece of the show but Britten's Serenade for Tenor, Horn, and Strings with horn soloist, Allene Hackleman, was one of Julia's favorite due to its immensely relaxing yet sorrowful sound. This further highlights the fact that you do not have to be a classical music connoisseur to reap the intended effects of Britten's musical genius. I applaud the fact that the ESO makes a positive effort to incorporate the diverse range of musical groups available within Edmonton and I am looking forward to more musically collaborative events. Personally, it was enlightening to hear my fellow choristers make music together and hopefully I will have the chance to join them in the future! Be sure to check out the ESO blog for more enlightening symphony entries! Until next time, take care readers!